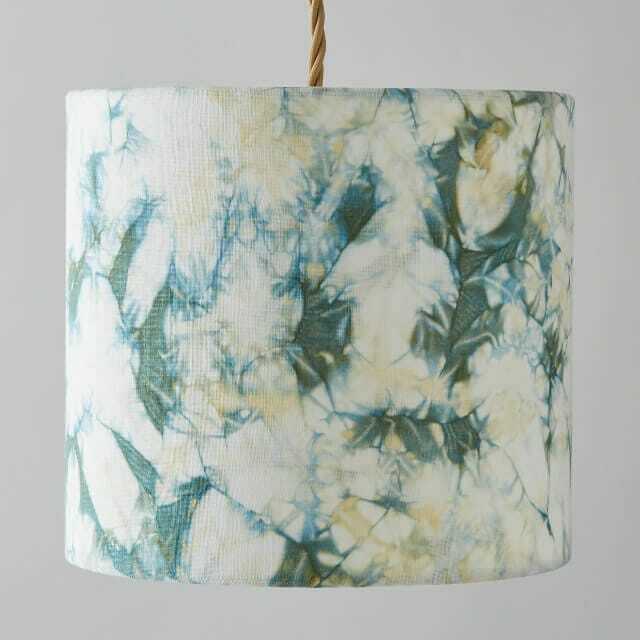 A pale gold and teal green and white Shibori marbled effect lampshade the “Constellation” collection, dyed with Myrobalan and indigo.. 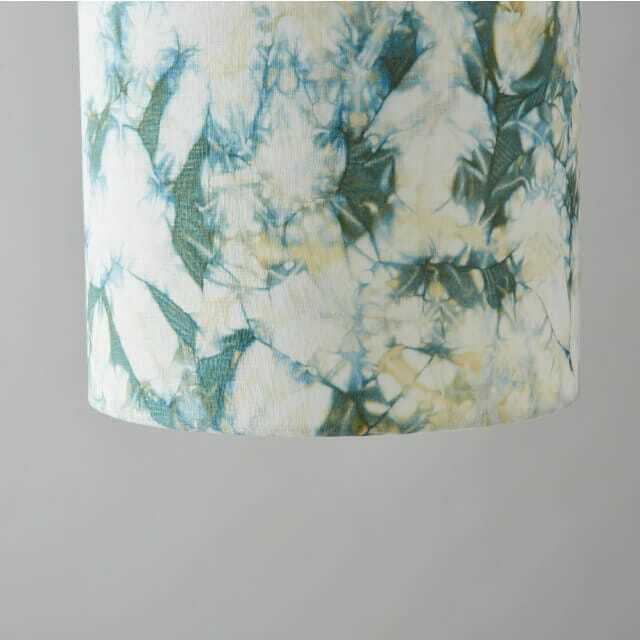 This pale gold and teal green and white Shibori marbled effect lampshade from Romor Designs is part of the “Constellation” collection recently launched at MADE London by Romor Designs. * Please note: Due to the handmade nature of this item the exact pattern you receive will be similar to but not exactly the same as the one you see featured. 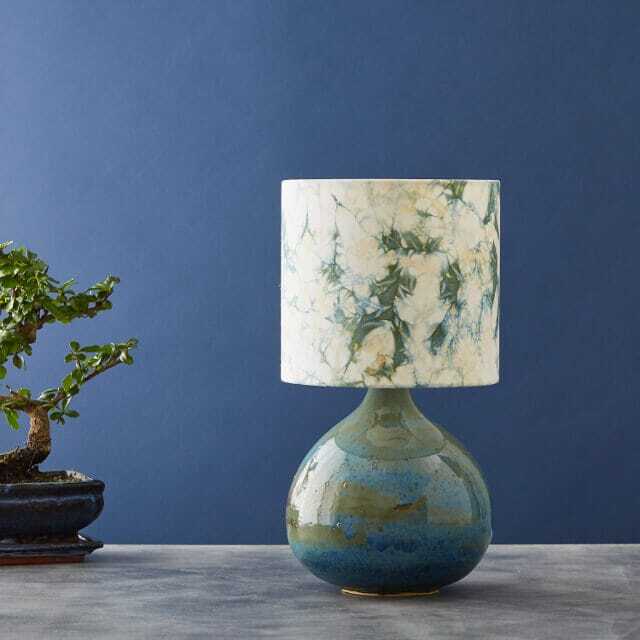 Perfect in the lounge, bedroom or anywhere else you need a beautiful handmade lamp to illuminate your home. 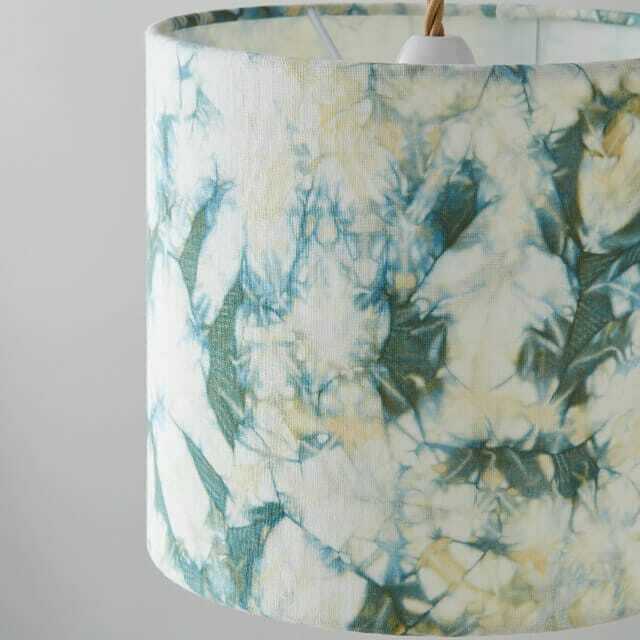 Shibori is a slow craft and all my pieces require a number of processes such as stitching, binding or clamping, as well as dyeing using indigo and other natural dyes before being assembled into a lovely lampshade. Inspired by the marbling you see on the covers of antique books this piece makes the most of the way the dyes spread unevenly through the carefully crumpled fabric. The fabric was dyed for an hour in the Myroblan dye bath after applying the marbling shibori effect. It was then overdyed by being dipped five times in Mayan indigo to achieve the rich teal green overtones.